Anytime a vendor critical to your business changes their product and pricing, it is tempting to reassess. We may see the world differently than other IT providers, but we, the team at Cumulus Global, strongly agree. Now is a good time to examine your cloud services, as part of your full IT ecosystem, and determine if it is the right time to make a change for the better. The first step is to look at your current service, and evaluate how well you are using its capabilities to operate and improve your business. By looking at your utilization today and what features and capabilities you expect to use in the future, you can decide if your current subscription is best or if you should consider an upgrade. Are you using it solely for email, calendars, or contacts or are your using the collaboration features? Does Drive, or can Drive and Team Drives, serve as your primary file service? 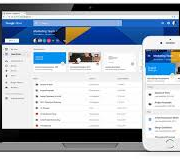 Are you paying for separate services, such as teleconferencing and web/video conferencing, that are included within G Suite at no additional cost? Understanding the capabilities of each G Suite subscription and asking the right questions, you assess how you will use G Suite going forward. Contact us, we are here to help. Currently, about 30% of our client migrations to G Suite and Office 365 are from another cloud service, not from on-premise or hosted email servers. While this number may be surprising to some, for us it makes sense. Companies that moved to G Suite or Office 365 several years ago are looking at how the cloud has advanced how their businesses have changed, and how their overall IT needs and services have evolved. Is now the time to switch? The decision to switch from G Suite to Office 365, or vice versa, makes solid business sense for for some of our current and prospective clients. For some, they remain reliant on the desktop MS Office suite and want better integration. For others, they have business apps running on MS SQL Server and want the integrated business intelligence and analytic capabilities of Office 365. For still others, a unified security infrastructure covering desktops, laptops, and mobile devices is the driving need. If you think switching is a worthwhile consideration, we are offering our Productivity Cloud Assessment and Recommendations at no cost through March 31, 2019. Complete our Cloud Productivity Questionnaire and we will schedule a Cloud Advisor Session and present you with our assessment and recommendations. The service, normally $895, will help you jump start the process for considering a change in platform. Additionally, check out this blog post for ways to mitigate the price increase. Whether you expect to stay the course or change directions, we are here to help. Because we partner Google, Microsoft, and dozens of other cloud providers, you get our objective assessment and recommendations. Because we understand small and midsize businesses, you will get pragmatic advice and solutions focused on your needs and desired outcomes. Please take advantage of our experience and expertise.